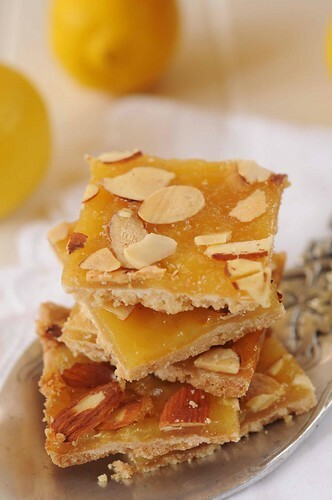 Lime Coconut Squares (or Lemon Almond Squares) have a tasty shortbread base layered with lime or lemon curd and toasted coconut or almonds on top. 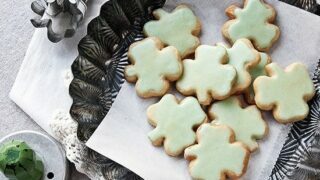 In keeping with the “wearing of the green” happening this Wednesday, I have something green for you to eat. And it’s not lettuce for a change. These simple fruit bars have a tasty shortbread base combined with a thin layer of lime curd and toasted coconut on top. 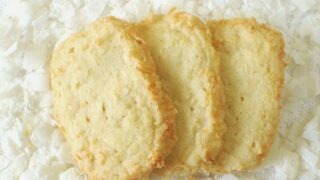 They remind me of traditional lemon squares except they are thinner and easier to make. 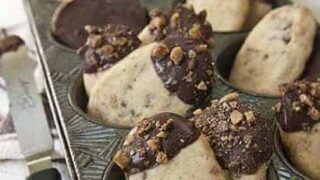 These cookies are the perfect little treat for a healthy diet based on moderation. If lime is not your thing, try substituting lemon curd, strawberry jelly or any other preserves for the lime curd. If you don’t get excited about coconut, try almonds, pistachios, pecans or powdered sugar (sprinkled on top after baked cookies are chilled). The results will be delicious! One note of warning: These are FRAGILE–handle with care. DO make a sling to remove bars from the pan. They slice cleaner and taste best if chilled before eating. 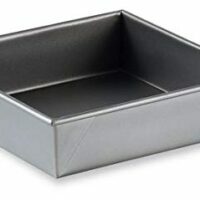 Press dough mixture into parchment or foil lined 8-inch pan. 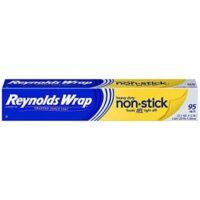 If using foil, spray with vegetable oil or use non-stick foil. You will be sorry if you skip this step as cookies are thin and difficult to remove from pan after baked. Making a sling as pictured enables easy removal. 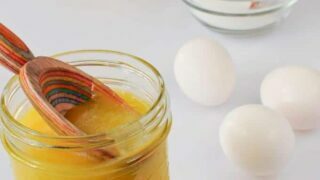 Use the blender and a microwave to make your own lemon, lime or orange curd. 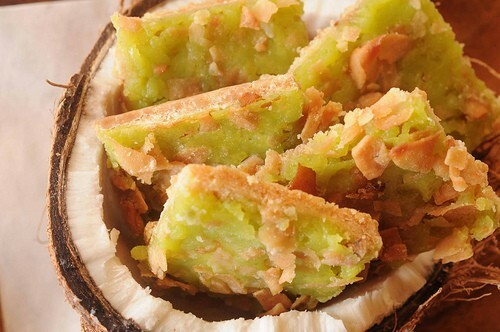 Toast coconut (or nuts). If using flaked coconut, toast in the microwave as seen here. If using shaved coconut (my favorite), toast on cookie sheet in the oven at 350 degrees. I like to toast the whole bag and save the rest to eat as a snack--one tiny piece at a time. Whisk together flour, sugar, and salt. Pour melted butter over flour mixture and stir with a fork. 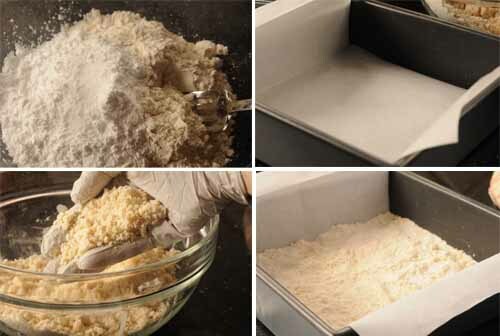 Then use fingers to moisten all flour completely. Dough should begin to stick together. Bake crust for bars until golden brown, about 20 minutes. Remove from oven and spread curd (warmed first in the microwave to make it more spreadable) over crust. Sprinkle with toasted coconut or nuts. Return to oven and bake another 20 minutes until curd is bubbly. Let cool for 5 minutes and use sling to remove uncut cookies to cooling rack. Chill in refrigerator before cutting and serving. I think the bars sound yummy. I love the lime/coconut combo. I will have to put this on my must try list. I have someone at my house that is addicted to anything lemon or lime. Thanks again for a great recipe. Those look delicious! I am sure lemon would be great too. And, I bet they are like springtime in your mouth, all refreshing and light. 1st question: can this be made in a microwave? And is there any pastry cream involved? Wow…. GREAT recipe! And you’ve made them look so tempting. I bet in addition to the lime, they’d be great with lemon too… hm…. 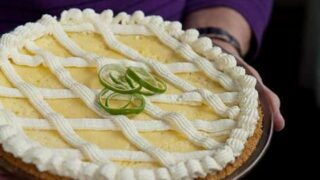 maybe lemon-lime for St. Paddy’s Day. 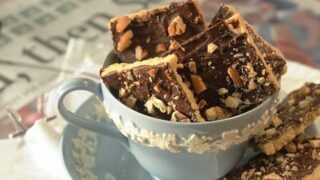 Very refreshing change from the chocolate/irish cream recipes floating out there!